A general power of attorney refers to a formal document that gives an individual the legal right and authority to handle another person’s affairs. This authority is typically granted when the individual who creates the power of attorney general form, often referred to as the principal, is unable to hand his or her own affairs, due to incompetence, leaving the country or old age etc. For example, a power of attorney general form may be beneficial when an individual must leave the country where he or she resides for a significant time period or becomes chronically ill with a condition that impedes the individual from logically handling his or her own affairs. In these scenarios, the individual who is awarded the power of attorney general possesses the same powers the principal would normally have. What authority does the Power of Attorney Possess? In most cases, granting a power of attorney general is not a decision that is made lightly; the individual who assumes power attorney has no restrictions on what he or she can do with the principal’s assets. The individual who assumes power of attorney can make decisions regarding how the principal’s assets are managed or how their money is spent. Furthermore, if the principal owns a business, the power of attorney can take control of the entity’s day to day operations. If the power of attorney is irresponsible, the principal’s assets may be spent for frivolous reasons; in more egregious situations, the power of attorney may even sell the principal’s assets when it is not in the individual’s best interest to do so. When a power of attorney is granted, the attorney-in-fact may also initiate decisions regarding the principal’s government benefits and life insurance. For example, the attorney-in-fact may purchase life insurance for the principal and may alter any existing policies. The attorney-in-fact may also act on the principal’s behalf in regards to the individual’s retirement savings, financial assets or government benefits. In most scenarios, the individual who is granted power of attorney is a relative close to the principal; although the name holds a sense of legal knowledge, the power of attorney does not need to possess any legal experience. Furthermore, signing a general power of attorney does not necessarily take away the principal’s ability to make decisions for him or herself; if the principal is regarded as mentally capable, he or she can choose to allocate assets or make decisions regarding the estate. 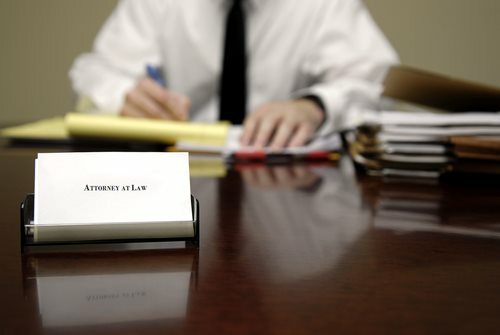 If the principal feels that the power of attorney is doing a poor job managing the estate, the individual may also revoke the authority and privileges attached to the attorney-in-fact.